I found a lonely flank steak in the bottom of the freezer. I needed something quick for dinner so I thought I would come up with a cool spicy rub and throw it on the grill. 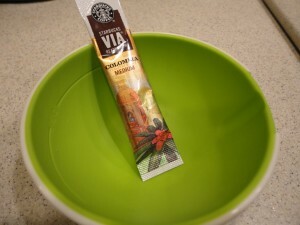 Recently, I highlighted using the tiny little packets of micro-ground coffee from Starbucks in another post this week. I love using these little packs and substitute them in whenever a recipe calls for espresso or coffee. 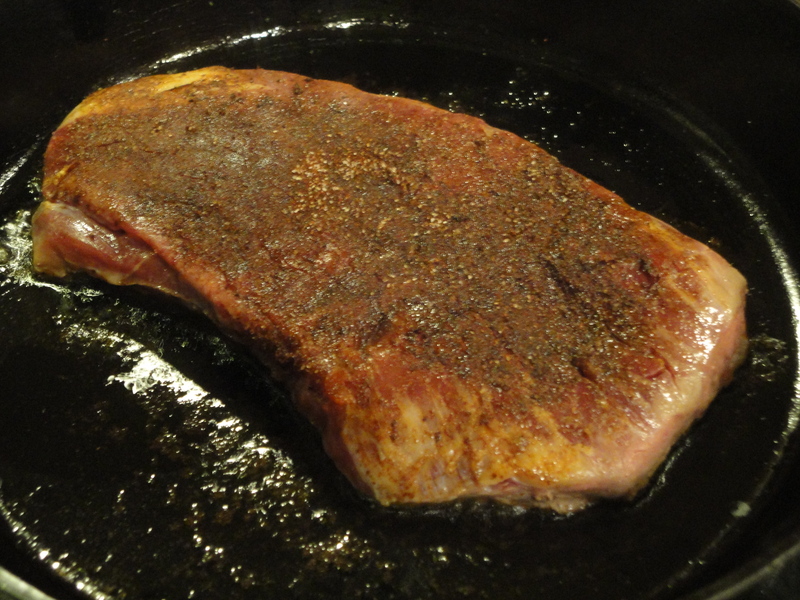 Having read about coffee rubs for meats and being intrigued, I decided to give it a try on this flank steak. 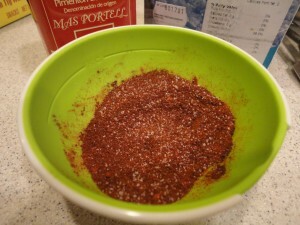 Combine coffee, paprika and salt. Rub flank steak and grill or fry in a hot skillet. I ended up frying the steak because it was too late to get the grill going when we finally had time to throw together dinner. 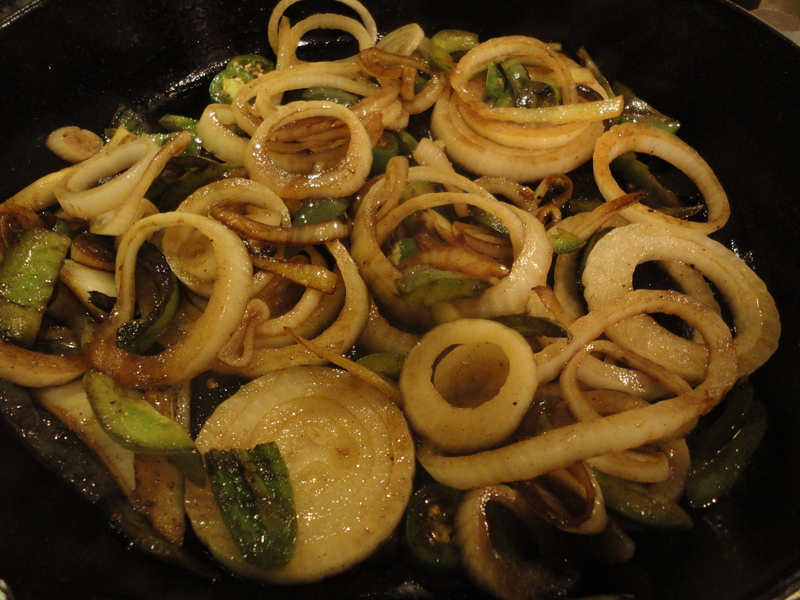 Heat up a cast iron skillet, throw in a bit of olive oil, cook about 3-4 minutes on each side. Having some more peppers fresh-picked from the garden, I decided to throw some peppers (both purple bells and a couple of jalapenos) with some onions to saute. Let the meat rest while veggies are cooking. Leftovers, yes! I will use the leftovers for quesadillas or salads. This is a creative rub idea indeed! I have never used coffee in a rub, but it sounds like a tasty one with paprika-definitely worth a try. Thanks for sharing and have a great weekend. How smart to use the little packets! And a great way to use up your peppers! Put the leftovers in a sandwich roll and add some cheese and you’d have a great Philly Steak Sandwich too! That looks like a tasty, easy rub for a quick steak. Nice job. Yeah, you don’t see coffee in rubs very often. I have a rub for chicken that actually uses espresso grinds. it’s quite good. Hmmm—chicken might work with this too. Thanks for the idea. 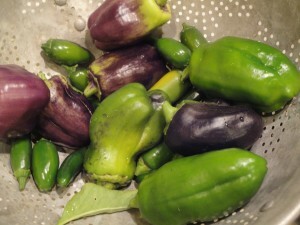 Wow – this is a great dinner and your garden fresh peppers are beautiful! 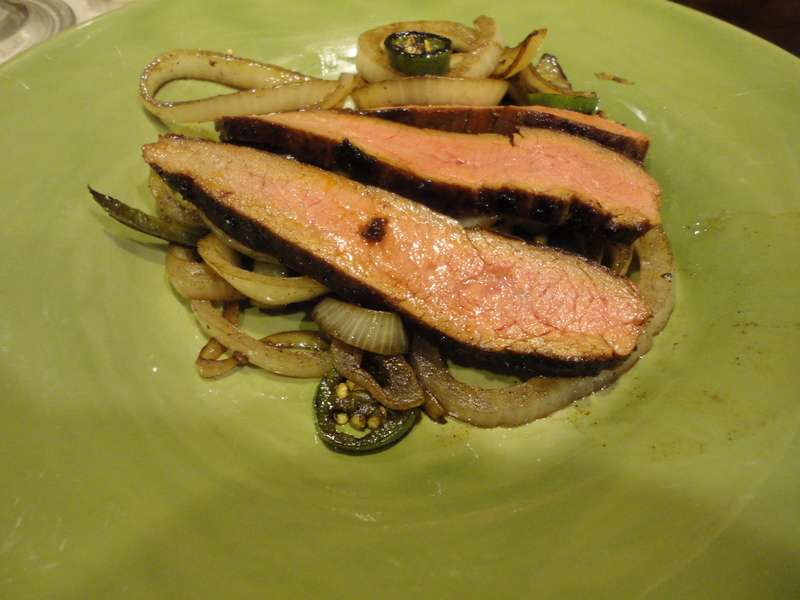 I’ve never had a coffee rubbed steak before and – like you – they’ve always intrigued me! Thanks SO much for boldly going out there….now I’ll have to take the plunge, too! My husband loves flank steak. I’ve never tried a coffee rub — I actually had never heard about them befoe — but he loves coffee, so I will try this for him. Thanks! We love making coffee rubs, and this one sounds so easy and delicious!